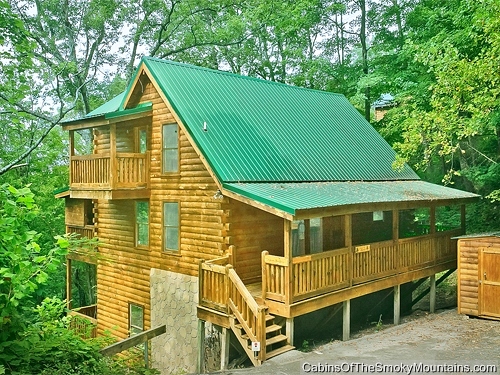 Mountain Blessing is a 4-bedroom luxury log cabin on the edge of Great Smoky Mountains National Park and also just minutes from downtown Gatlinburg. It offers the best of both worlds, perfect as a couples retreat or a family-fun adventure. 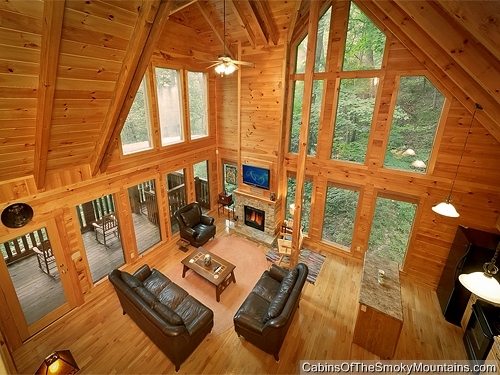 Situated in tranquil, wooded surroundings in the private Forest Springs resort area close to Roaring Fork Creek, Mountain Blessing is a spacious cabin designed to enjoy its surroundings to the full. 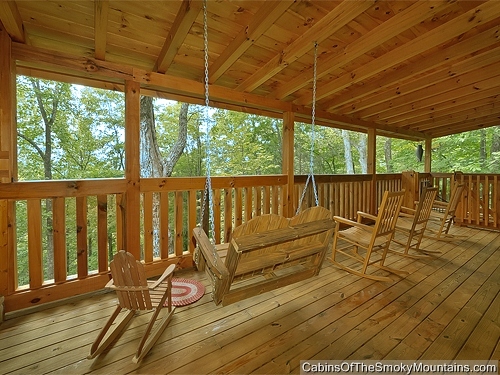 With vaulted ceilings and windows that bring the outside inside, the cabin has 4 different decks to hang out on, including one with a hot tub and one with a fireplace. 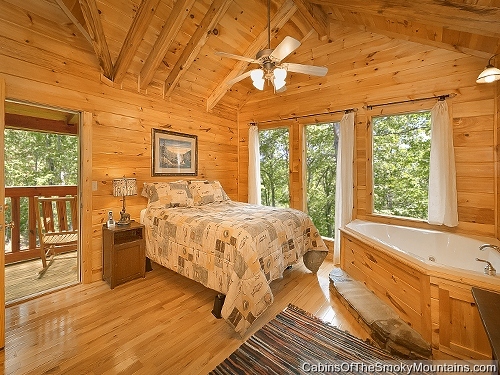 Mountain Blessing will sleep up to 13 people, with 4 queen bedrooms – one with jacuzzi – and 3 full bathrooms, arranged between the three levels of the cabin to offer separate space for guests. 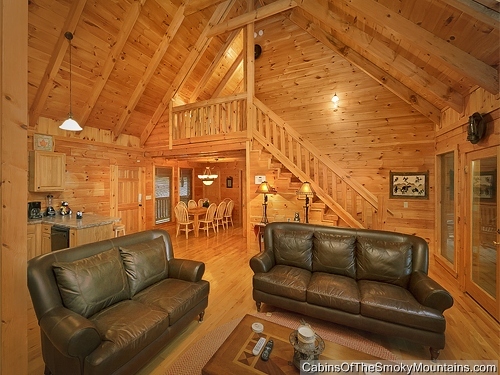 Dining room seating for 8 people, with a wet bar and full kitchen, and an ample living area offer plenty of gathering places for conversation and fun. 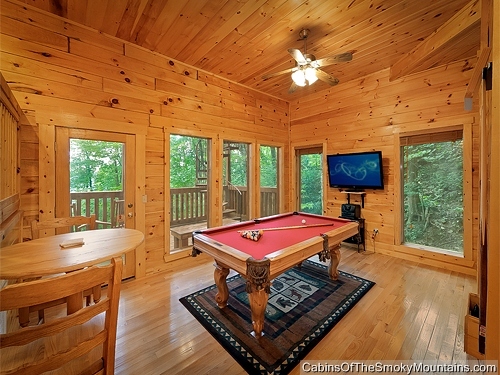 A pool table surrounded by windows and the forest outside makes a tranquil place to play, while 3 different porch swings and 8 rocking chairs means you can rest your vacation-weary bones practically anywhere and just enjoy the scenery and the rustling leaves. Inside the cabin, TVs are everywhere you could want one for entertainment. And kids will never tire of the stairs and levels, with their own bunk beds in a lower level bedroom. Mountain Blessing is a good choice to share company, and split costs, between a group of friends or family. Outside the cabin is Gatlinburg, with its countless attractions, and the National Park with all its wonders. 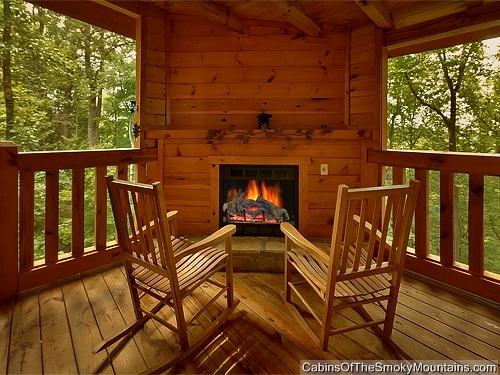 But will you ever get away from the cabin? It’s a real question. As many people who visit the Smoky Mountains say, just living in the cabin was the best part of the trip. Mountain Blessing was designed with this very thing in mind. 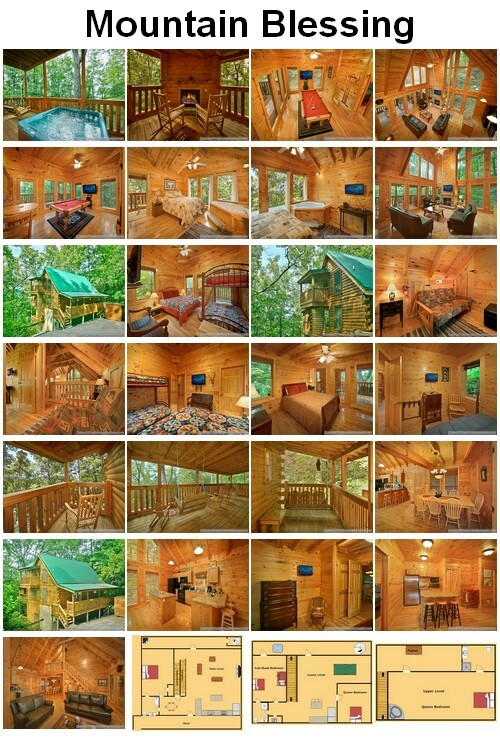 Click here to check availability and book Mountain Blessing for your next trip!